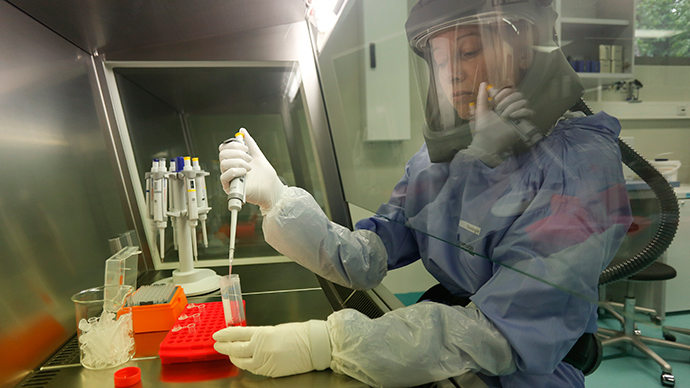 Concerns that the deadly Ebola virus, which has claimed nearly a 1,000 lives in West Africa in recent months, can be used by as biological weapon are far from being groundless, Russia’s Federal Medical-Biological Agency (FMBA) said. “Such possibility exists,” Vladimir Nikiforov, who heads the Department of Infectious Diseases at the FMBA’s Institution of Advanced Training, acknowledged at a press conference in Moscow. “Actually, this virus can be used in the form of a spray, which can lead to very big trouble,” the disease expert is cited as saying by the RIA-Novosti news agency. It’s very hard to track down efforts to create bioweapons, despite the Biological and Toxin Weapons Convention in place since 1972, he said. “Biological weapons are nothing like a nuclear bomb… In order to make a nuclear bomb, one would require a uranium mine, a nuclear power plant and so on,” but biological weapons “are made in a small laboratory, which can be easily camouflaged,” Nikiforov said. “You know that there are rogue states. And here's the thing, I can’t guarantee that some country isn’t preparing something of the kind,” he added. Nikiforov words are echoed by his counterpart from Cambridge University, Dr Peter Walsh, who warned the UK public that a terrorist could use the Ebola virus to create a dirty bomb. 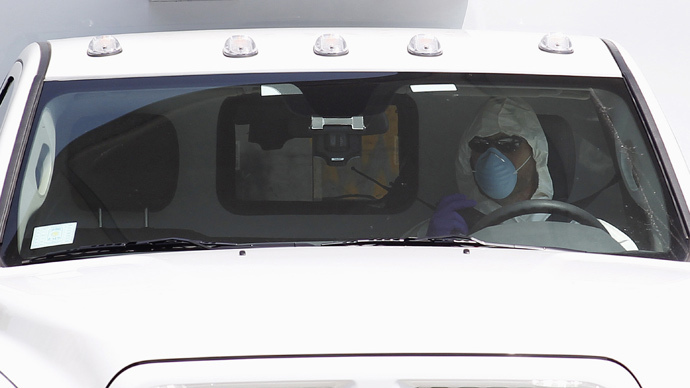 According to Walsh, there are just a few labs in the world, which possess the Ebola virus, and they are extremely well-protected. “So the risk is that a terrorist group may seek to obtain the virus out in West Africa,” he said. 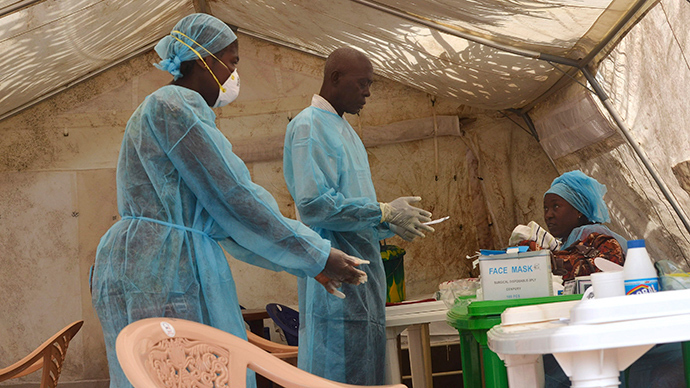 At least 961 people have died in the Ebola outbreak, which started in Guinea this March. 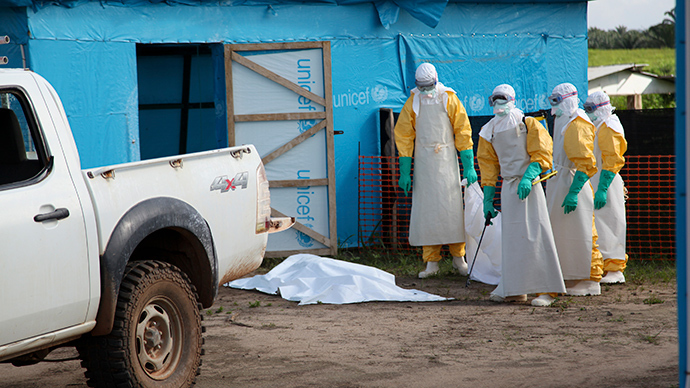 It quickly spread to Liberia, Sierra Leone and Nigeria, infecting in total over 1,700 people. On Friday, the World Health Organization (WHO) announced an international health emergency over Ebola, calling the current outbreak the most severe since the virus was first identified in humans back in 1976. “The likelihood is that things [with Ebola] will get worse before they get better,” Keiji Fukuda, WHO’s head of health security, warned. 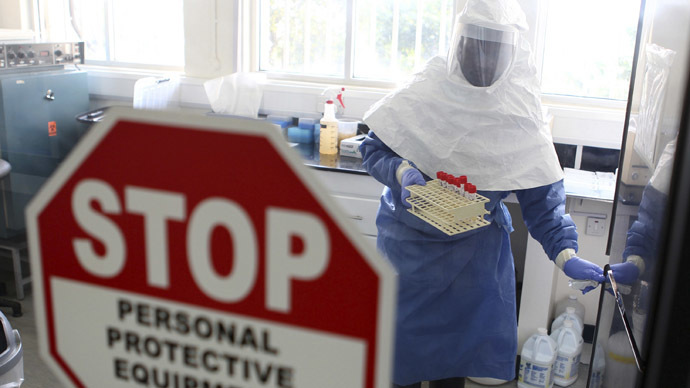 Meanwhile, the US health authorities have eased safety restrictions on an experimental TKM-Ebola drug, which could clear the way for its use to treat patients infected with the deadly virus. 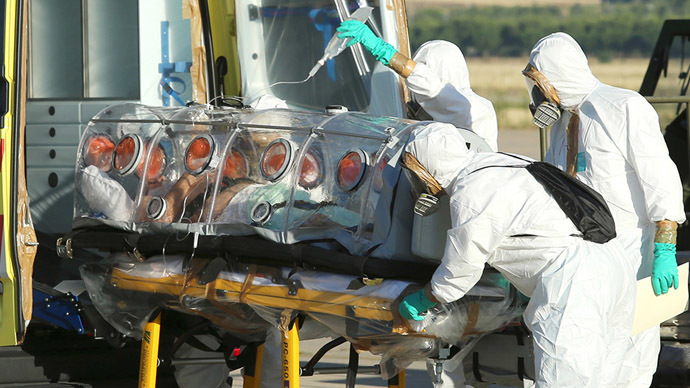 On Thursday, Russia’s former chief medical officer, Gennady Onischenko, said that he can’t rule out the possibility that the Western African outbreak is suspicious. 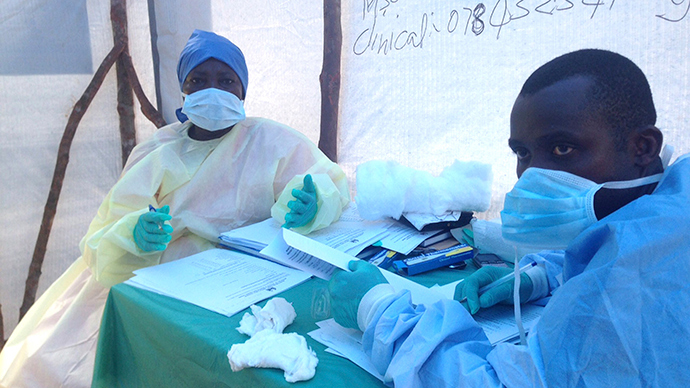 “I am concerned about the prevalence and pathogenicity of the situation, which is too much even for Ebola. Too many people are dying. I don’t rule out that there’s something artificial here… What is happening with Ebola there, could there also be something man-made about it?” he said.